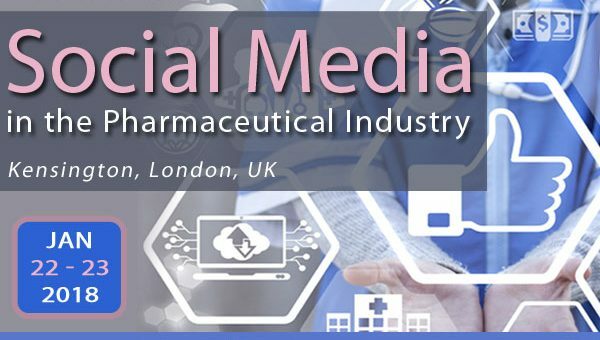 Next week, SMi’s 10th conference on Social Media in the Pharmaceutical Industry will open its doors to a global audience of HCPs, healthcare marketers and social media experts to discuss key themes within the pharmaceutical industry’s digital revolution. Featuring 18 leading pharma and social media experts, 15 thought-provoking presentations, an exclusive keynote address, and 4+ hours of networking, the agenda has been curated to reflect and to address key themes and issues surrounding the importance and use of social media within the industry. Key themes include leveraging social media to build stronger brands, digital content marketing, mHealth apps and pharmacovigilance, a virtual assistant, regulatory updates and building social networks for HCPs. From big pharma to digital marketing pioneers and patient associations, our panel of experts are sure to deliver the best top tricks of the trade to help you revolutionise your digital strategy. Our speakers include IBM, Janssen, Roche, GSK, Bristol-Myers Squibb, pharmaphorum, MSD, Pfizer, CREATION, UCB and more! The full speaker list can be viewed online. Check out the Download Centre on the website to read interviews with some of the industry’s social media pioneers including an exclusive radio session! Get social! Network and compare top tricks of the trade with the cream of the crop! – Keep updated on the go by following SMi on Twitter: @smipharm & LinkedIn: Search ‘SMi Pharma’. Join the conversation by using #pharmasocialmedia. 5. The Conference Doesn’t Stop There! Attend our post-conference workshop, focusing on the combination of latest advancements in ‘Social Networking and Strategic Competitive Intelligence’, and the benefits/pitfalls when embracing these tools. Workshop hosted by LucidQuest.